We are now running our classes through our nonprofit- Ourfoods. You can also take our class through UCLA Extension in September. In this 2-day, intensive Aquaponics class, you will not only learn why Aquaponics is the future of local food production but also how to do it yourself. Aquaponics is a soilless food production system that uses fish to provide fertilizer for the plants, while the plants filter the water for the fish. In this closed- loop, symbiotic relationship with edible fish and plants, more food can be grown per square foot than any other method, which makes it well suited for urban farming. Best of all, it uses 95% less water then conventional agriculture, it can exceed organic certification standards, and YES… the food is absolutely delicious! With an emphasis on developing an applied knowledge base, we will cover the fundamentals of aquaponics. By the end of the course, you will discover a sense of confidence to begin your own system at home. The course is designed to be a prequel for additional courses soon- to- be available that will address permaculture based principles and the process of scaling up for social enterprises and other commercial applications. The class is being taught by David Rosenstein, Founder of EVO Farm with guest speakers to be announced. 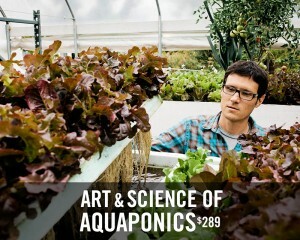 Before taking this course I only had a vague notion of aquaponic production. Sitting through the first sessions it becomes clear that aquaponics will play a key role in the transformation of agriculture in this country. 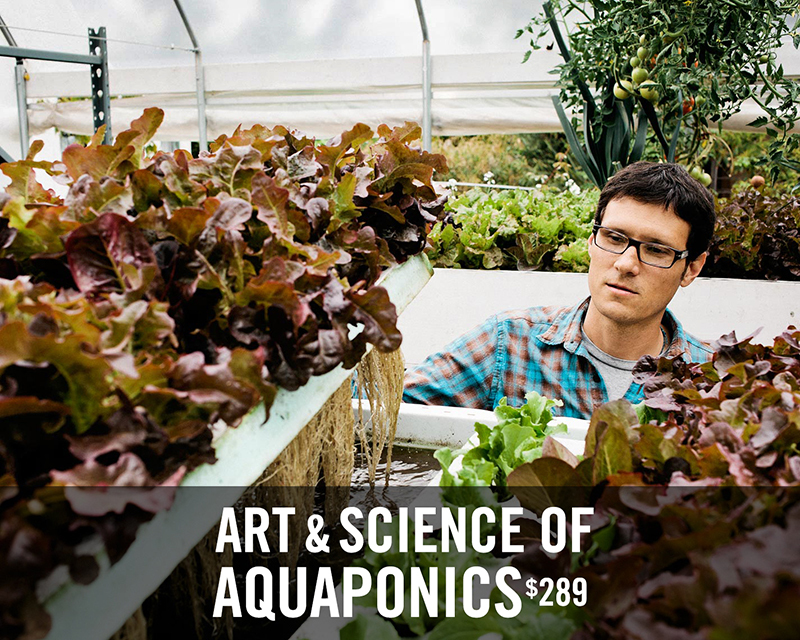 There is a reason why aquaponics has been listed as one of the top ten jobs of the future, and taking this class is a great first step into the field. The course is rightfully so focused on aquaponic production in an urban environment, but I could easily adapt some of the information to our environment (rural high-desert). I left after the two day workshop ready to implement my own system; and I did. There was a good mix of classroom and hands-on time. David is an amazing teacher with loads of experience setting up many systems who is able to empower students to take on this style of growing that is often presented as really complicated and expensive. I feel that the course itself is a steal for less than $300, and then you can get your own system up and running for not much more than that.